I know it’s a day early but I will be offline tomorrow. The temperatures are finally getting above double digits and the snow is disappearing fast. Now there’s the fear of flooding as we are expecting a deluge of rain in the next 24 hours. Climate Change isn’t so subtle this year. Off the rack will return April 29th. Avengers LGY #716: No Road Home #9 – Jim Zub, Mark Waid & Al Ewing (writers) Paco Medina (art) Jesus Aburtov (colours) VC’s Joe Sabino (letters). 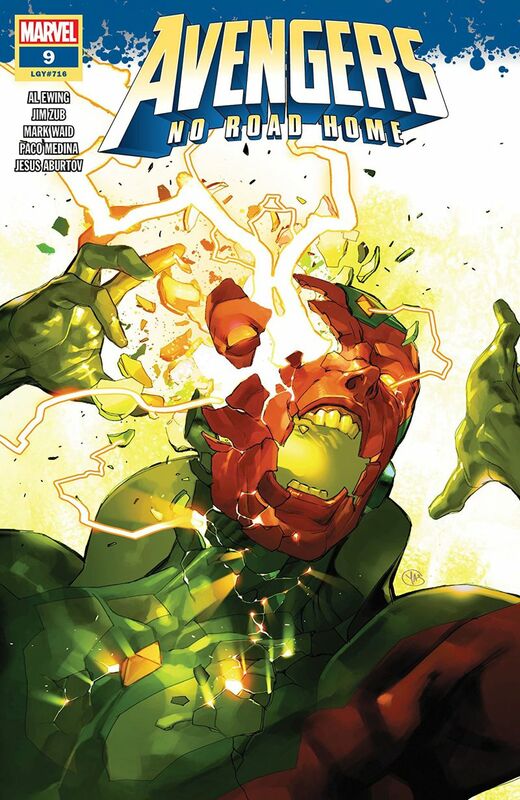 The penultimate issue shows us who gets the last Shard of Darkness. I know that (spoiler alert) the heroes save the universe but I still can’t wait to read the conclusion next week to see how they do that. 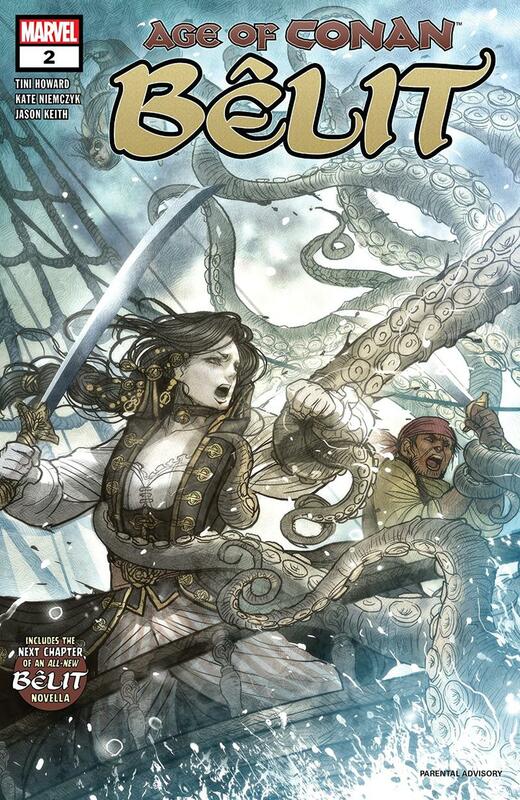 Age of Conan: Bêlit #2 – Tini Howard (writer) Kate Niemczyk (art) Jason Keith (colours) VC’s Travis Lanham (letters). This young Belit has gumption but I can only give this two issues and I’m done. I might read this if it was a small week for comic books but the art doesn’t thrill me. 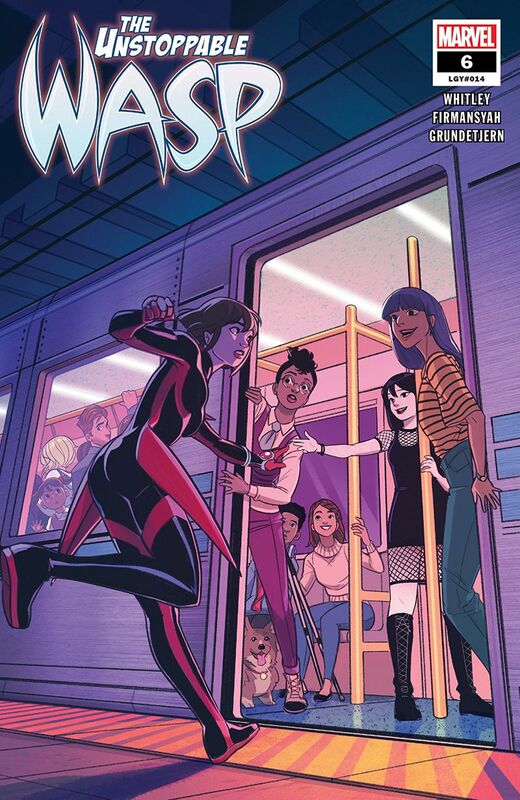 The Unstoppable Wasp #6 – Jeremy Whitley (writer) Alti Firmansyah (art) Espen Grundetjern (colours) VC’s Joe Caramagna (letters). The new art is more cartoony than I prefer but I so enjoy the writing. I like issues like this that just shows the characters interacting with each other in their daily lives. We learn new things about them and there’s no unnecessary fighting. A good comic book doesn’t have to have action scenes in every issue. 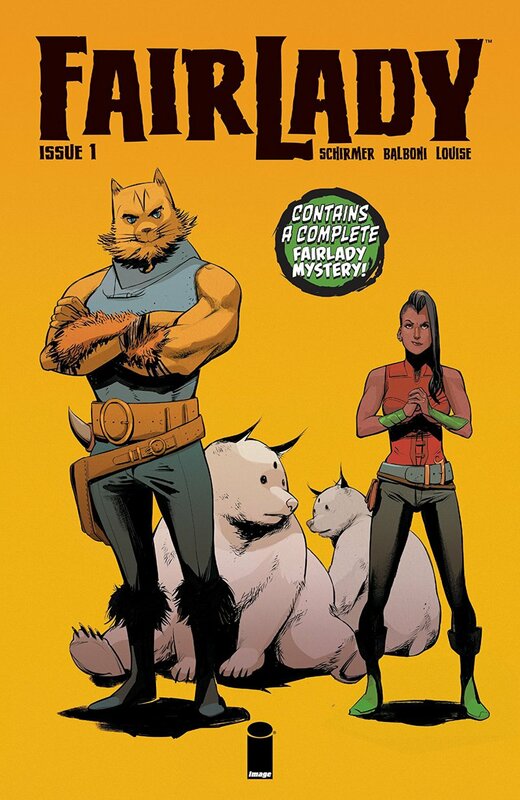 Fairlady #1 – Brian Schirmer (writer) Claudia Balboni (art) Marissa Louise (colours) David Bowman (letters). This new fantasy book is about private investigators or Fairmen. The only Fairlady is Jenner Faulds who takes cases no one else cares about. She’s after a missing person and some missing money in this first issue and she finds one but not the other. Her client will not be happy. I liked Jenner and her cat sidekick but magic and talking animals just isn’t my thing, but if you like fantasy and mystery please give this a try. Catwoman #10 – Joelle Jones (writer) Fernando Blanco (art) John Kalisz (colours) Saida Temofonte (letters). This issue starts with a high speed chase and proceeds to jump back and forth in time to make sense of what is going on. It forced me to pay close attention to who, where and what’s happening as the story progresses. I like that Selina’s cat burglary is being featured again. War Of The Realms: Journey Into Mystery #1 – The McElroys (writers) Andre Lima Araujo (art) Chris O’Halloran (colours) VC’s Clayton Cowles (letters). 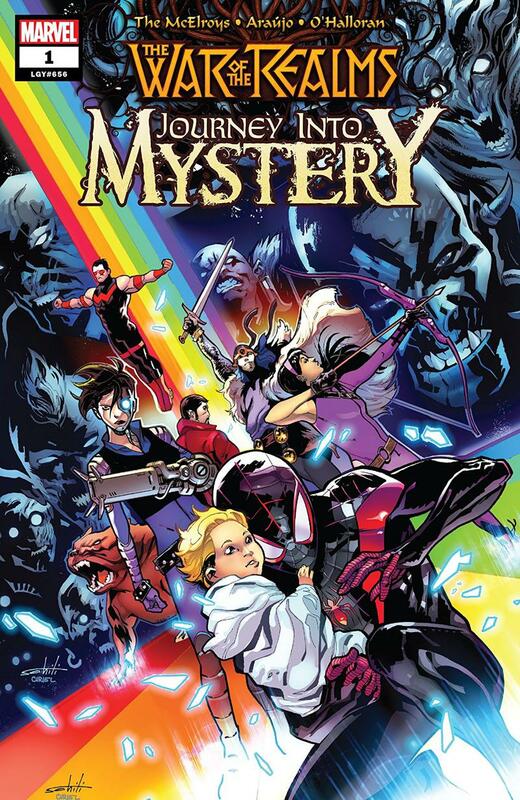 The first Thor stories I ever read were in Journey Into Mystery and I was wondering what this War of the Realms spin-off was going to be about. Thor is in it briefly but this new super team is lead by his brother Balder the Brave, recently returned from Hel. Balder has vowed to protect his baby sister and he gathers a team to help him do that. What a team it is too. 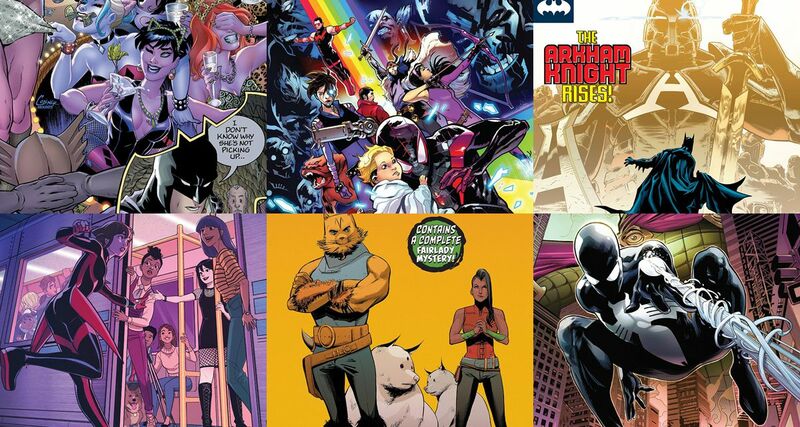 There’s Kate Bishop/Hawkeye, Miles Morales/Spider-Man, Simon Williams/Wonder Man (who is a pacifist now), Deathlok version 2.0, a sorcerer named Sebastian Druid and last but definitely my favourite, Thori the god of dogs. This was fun and ction packed. The team is trying to stay under the radar by traveling around in an RV but the enemy is after them in a Mad Maxmobile. Wait until you see who’s driving it. This goes on to my “must read” list. Batman #68 – Tom King (writer) Amanda Conner, Dan Panosian, John Timms & Mikel Janin (art) Paul Mounts, John Timms & Jordie Bellaire (colours) Clayton Cowles (letters). Knightmares part 6. 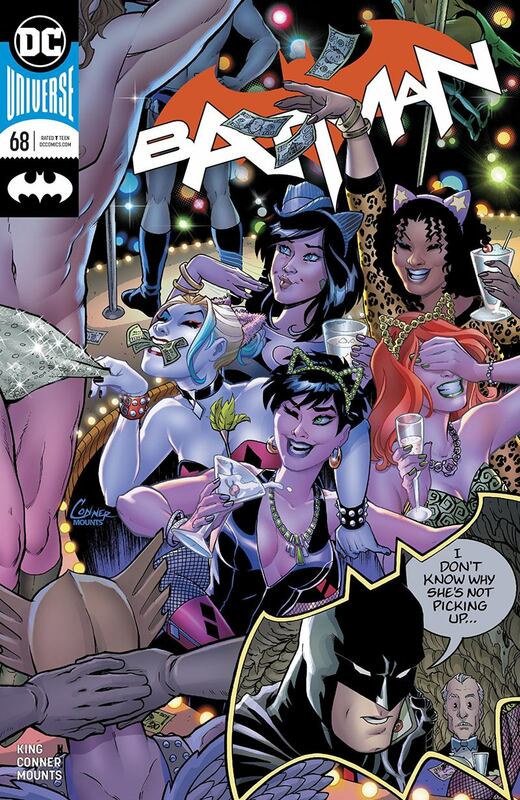 This will be confusing because it shows events that happened before Batman and Catwoman’s wedding. It’s not until the last page that you realise we’re still in Batman’s head. I still had fun reading this because I enjoyed the “real” events with Selina and Lois, Clark and Bruce. Plus I always like Amanda Conner’s art. 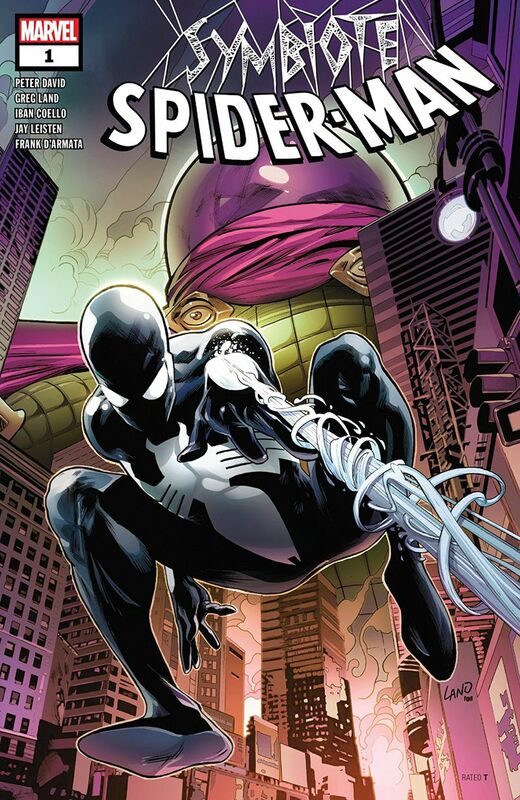 Symbiote Spider-Man #1 – Peter David (writer) Greg Land (pencils) Jay Leisten (inks) Frank D’Armata (colours) VC’s Joe Sabino (letters). If you’re feeling nostalgic for the old black costume then this is the book for you. 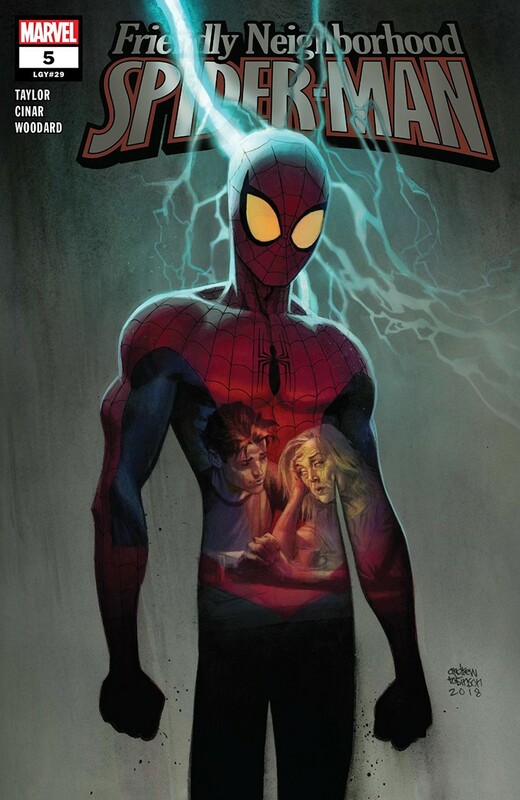 These stories take place right after Peter comes back from the first Secret Wars wearing what he thought was a new costume made from alien technology. True to continuity, his girlfriend at the time is Felicity Hardy the Black Cat. The super villain he fights in this debut is Mysterio. I wouldn’t normally want to read something like this but I like the creative team so I’m going to stick around for more. 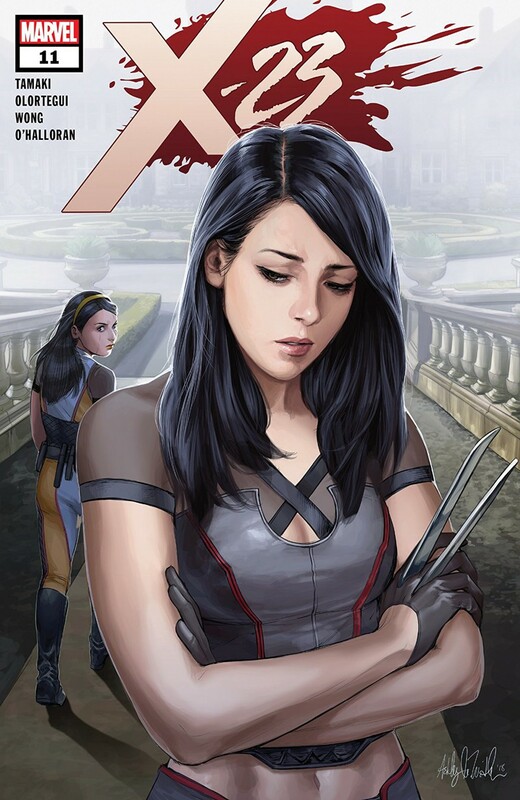 X-23 #11 – Mariko Tamaki (writer) Diego Olortegui (pencils) Walden Wong (inks) Chris O’Halloran (colours) VC’s Cory Petit (letters). Dear Gabby part 1. The two sisters are at cross purposes in their mission to stop bad guys from exploiting their DNA. There is fallout from this family feud. I hope this change isn’t permanent because it may make me stop reading. Detective Comics #1001 – Peter J. Tomasi (writer) Brad Walker (pencils) Andrew Hennessy (inks) Nathan Fairbairn (colours) Rob Leigh (letters). 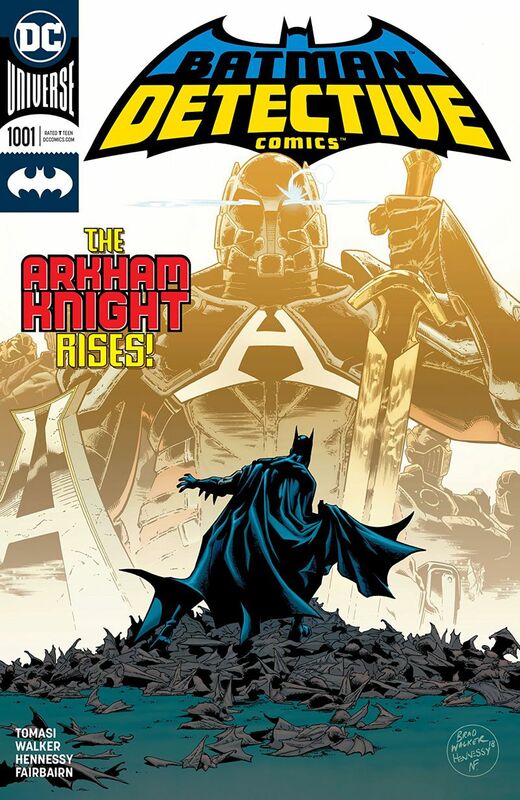 The last story in Detective Comics #1000 introduced the Arkham Knight. 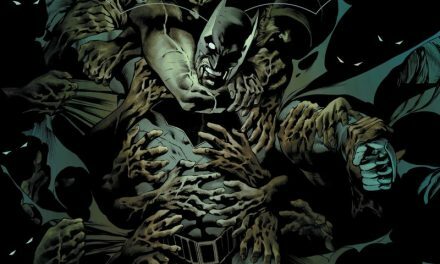 This issue reveals a tidbit more about the new Batman adversary. This guy’s got minions. It’s not a fair fight. I’m going to keep reading until his origin story is completed. 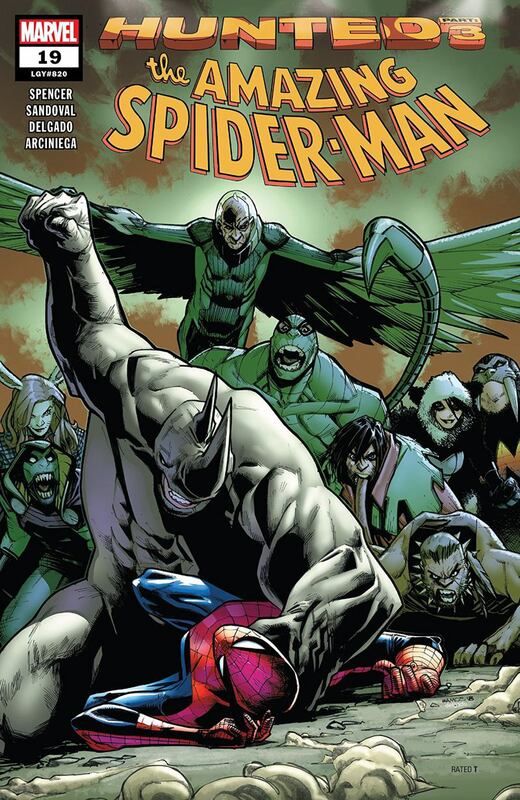 The Amazing Spider-Man #19 – Nick Spencer (writer) Gerardo Sandoval (art) Edgar Delgado & Erick Arciniega (colours) VC’s Joe Caramagna (letters). I was starting to gag while the Vulture narrated a part of this Hunted story but then I realised that he was being written in character and forgave Nick Spencer for the overwrought dialogue. I almost benched this book again but now that I’m 5 issues into the story I’m going to finish reading it. There are enough teasers for upcoming events that still hold my interest. Friendly Neighborhood Spider-Man #5 – Tom Taylor (writer) Yildiray Cinar (art) Nolan Woodard (colours) VC’s Travis Lanham (letters). This issue highlights what’s at the core of this character. Spider-Man is about power and responsibility. The car chase shows us how powerful Spider-Man is and how Peter deals with Aunt May’s medical diagnosis shows us how responsible he is. Yildiray Cinar’s art isn’t as pretty to look at as Juann Cabal’s but as long as Tom Taylor is writing these stories, I’ll be reading them.